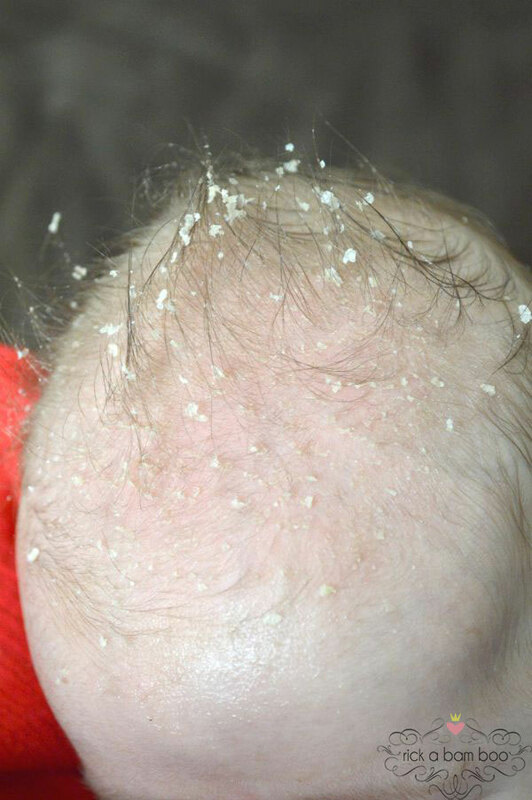 Get rid of your little one’s cradle cap using one natural ingredient. 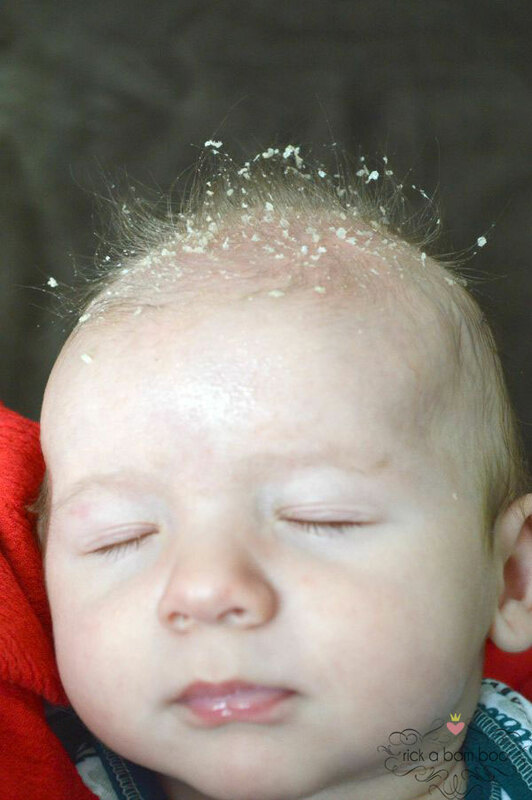 If you have a baby in the house, then you know about cradle cap. 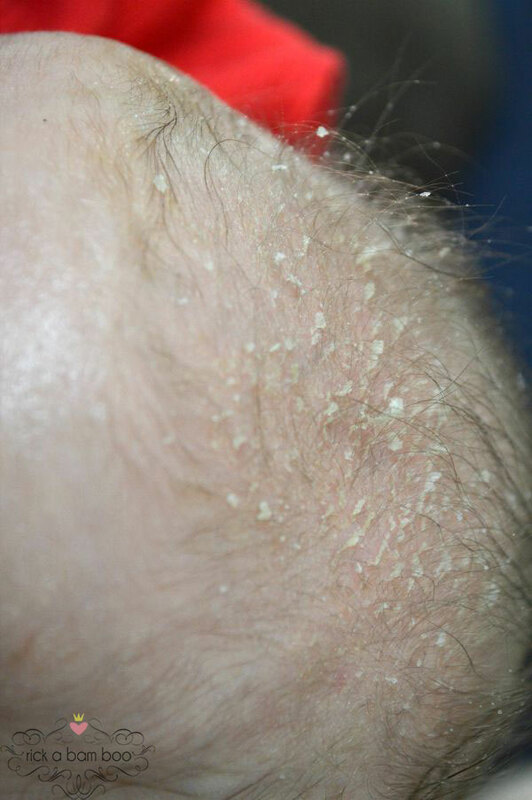 It is that scaly dandruff that you just can’t seem to get off their cute little heads. While it doesn’t harm the baby at all, it can slow down hair growth. And it’s just not cute. 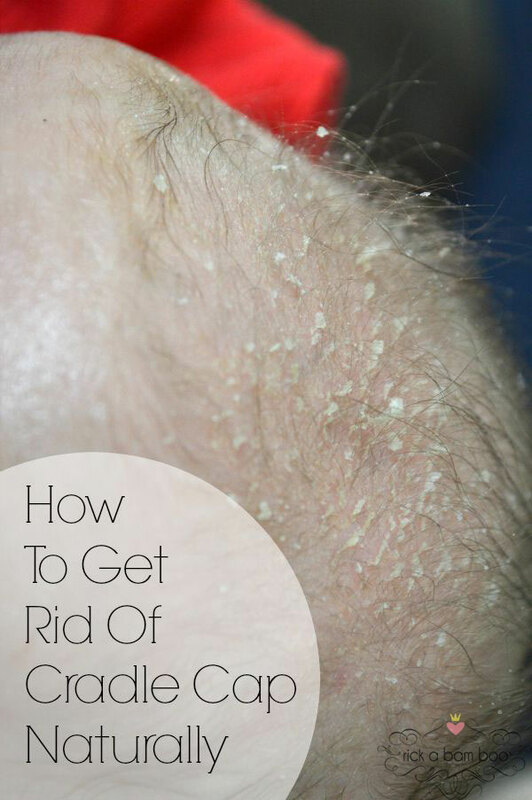 Today I am going to share a simple, natural way to get their little coconuts all smooth again. The secret ingredient? Coconut oil. All you need is about half a teaspoon of coconut oil and a soft bristled baby brush or toothbrush. I used the brush they gave us at the hospital which was basically a toothbrush. First you rub the coconut oil all over their little head. You want to really focus on the area that has cradle cap, but if you get it all over their hair that’s just extra conditioner for their already super soft hair. Softly massage the dandruff area for a few minutes. 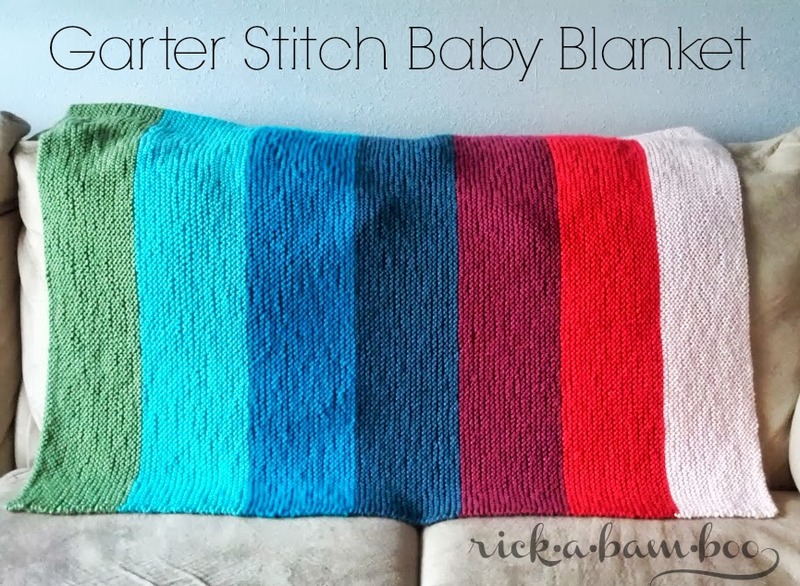 This helps the oil to really absorb into the skin and the baby just really likes it. I like to leave it alone for about 5 minutes to really let it soak in. Then you will take the brush and brush backward, from face to crown. You want to put a little pressure into it to loosen the dead skin, but this is a baby so remember to be gentle. 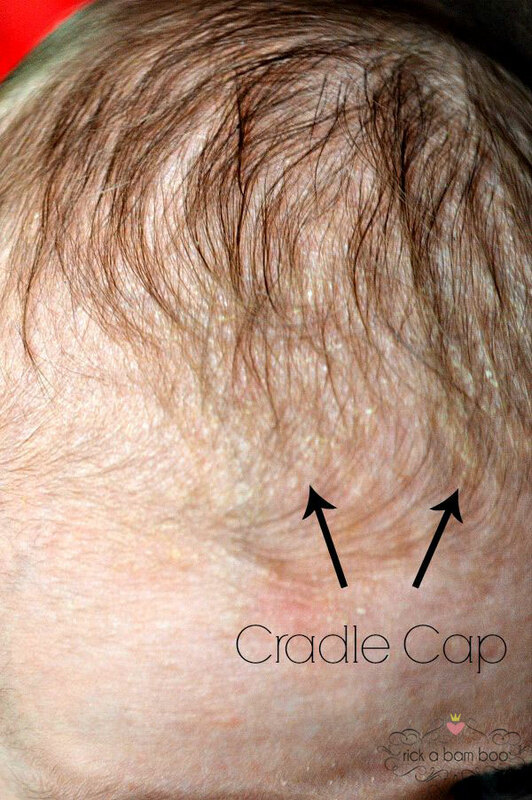 As the cradle cap starts to pull away from the scalp you will see it in their hair. I used a fine tooth comb to help get it out of his hair, but you don’t have to do that. Once you have removed all the cradle cap from the scalp it’s time for a bath. You will want to shampoo their head because it does stink now. All of the trapped sweat is now free and they just don’t smell baby fresh anymore. Not to worry. That will all be remedied with a little bath. My little guy found the whole process so relaxing he fell asleep. 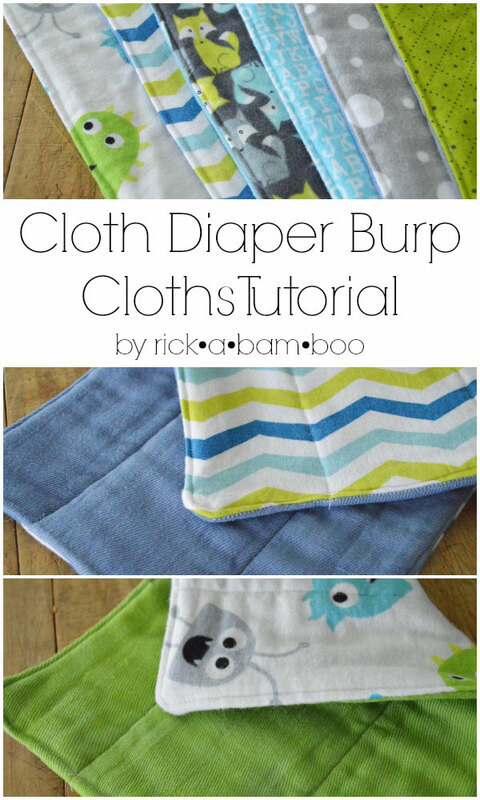 These Cloth Diaper Burp Cloths are my favorite and are wildly popular. 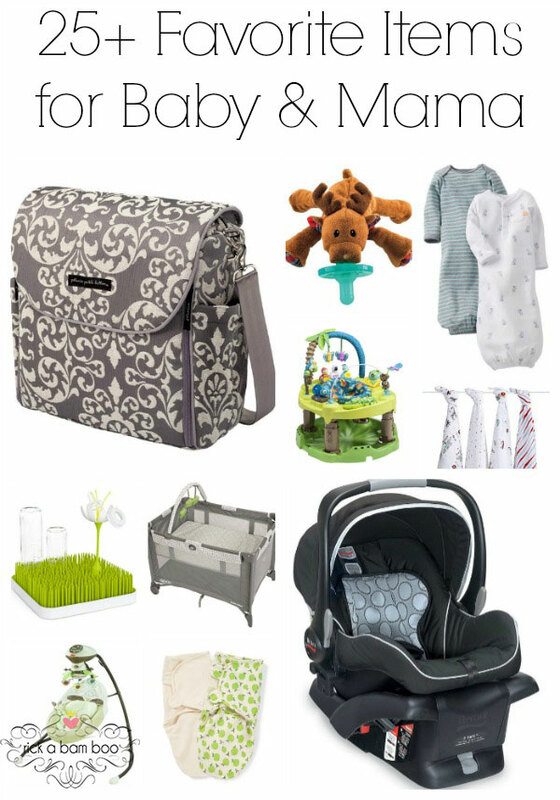 This round up of 25+ Favorite Items for Baby & Mama is full of my favorite things. 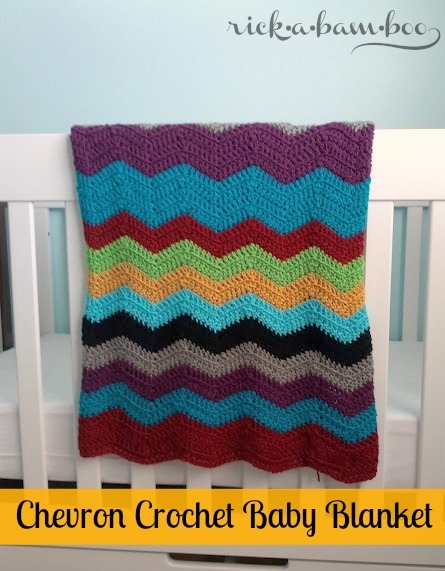 And if you are looking for a simple baby blanket these are a couple of easy ones. When I was at my witty end with my daughters nappy rash, I used breast milk. It cleared up so fast. So when I noticed Cradle Cap, I tried the breast milk again. 2 days, and it was clear. That’s a great idea. Breast milk has so many uses and healing powers for baby. I worked at a daycare nursery and would use baby oil and a flea comb. I had used it on my son 4 years ago and it worked like a charm. Some babies stunk and it was not pleasant to hold or rock them. None of the parents seemed to notice or be thankful. Oh no! I did have some hair come out in the brush but it was only a few strands. That is something to be aware of. Thanks. Woohoo! Thank you! This worked amazingly on my baby, I just used a extra soft toothbrush as a brush and it helped take it off! I just brushed with the coconut oil while he nursed and then bathed him and he loved it ! It took all the dry scales off and now he’s napping ! Yay! An extra soft toothbrush is a great idea. I love coconut oil so i used this with about half an ounce of breast milk, mixed it together followed the same steps, and it worked like magic. I did not. The heat of his head and my hand did that. I’m afraid if you melt it that it would make a huge mess.